(1) Make sure that your iPhone is connected to WIFI. (2) On your phone, go to Settings, then tap on your name. 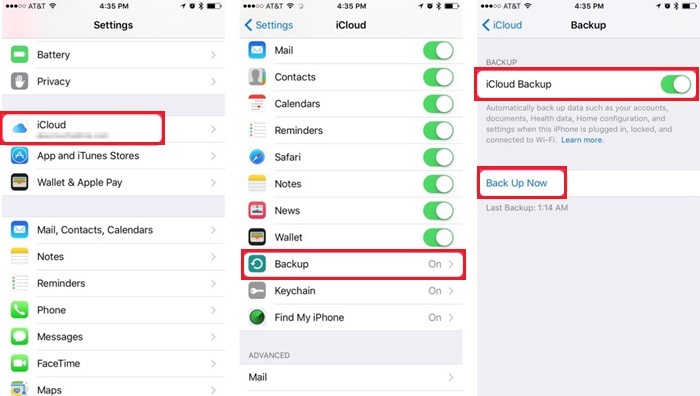 (3) Tap iCloud > iCloud Backup, then turn on iCloud Backup if it isn’t already. (4) Tap where it says Back Up Now. (5) Do not disconnect from your network until it is done backing up. To make sure that the backup was successful, go into Settings again and tap on your name, then iCloud > iCloud Storage > Manage Storage. Tap where your device is listed and look for the backup that you just made. (1) Your device should have the “Hello” screen if it is new or has been restored to factory settings. Look for the instructions that are on the screen and follow them. Eventually, you should reach the Apps & Data screen. (2) Look for where it says Restore from iCloud Backup and tap that. (3) Input your Apple ID and password. 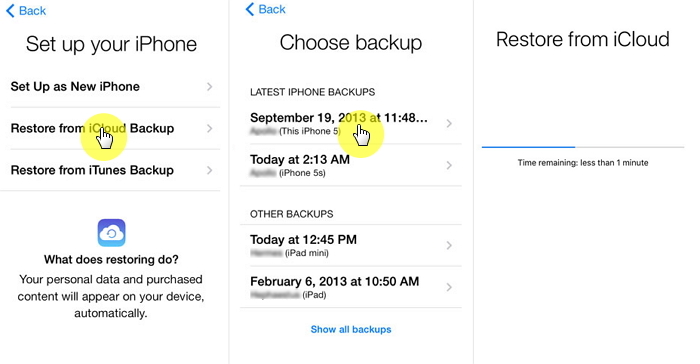 (4) Choose which backup you want, then iCloud will begin restoring the backup. (5) To restore your purchases, you may be asked to sign in again. You can always do this later, though. After that, just wait until your iPhone is done restoring and don’t disconnect from your network. (1) Launch iTunes, then plug your iPhone into your computer. (2) You may need to “trust” the computer by inputting your password. (3) Click on your device icon when it appears, then click Back Up Now in the Summary page. (4) Wait while your phone is backed up and don’t disconnect the phone. (5) Go to iTunes Preference > Devices to see if your backup was successful. It should be listed there on the screen next to your device’s name. (1) On the same computer where you backed up your device, plug your iPhone into the USB port. (2) Open iTunes and “trust” the computer if needed. 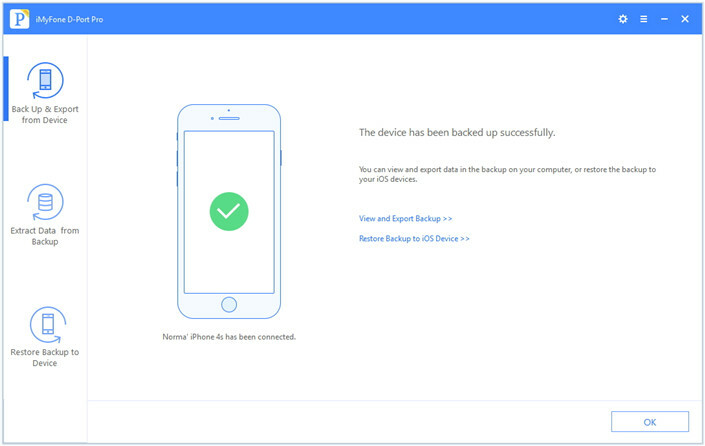 (3) Click where you see your device icon, then go to the Summary section and click Restore Backup. (4) Pick which backup you want to restore from. There will be a list of backups with their dates. 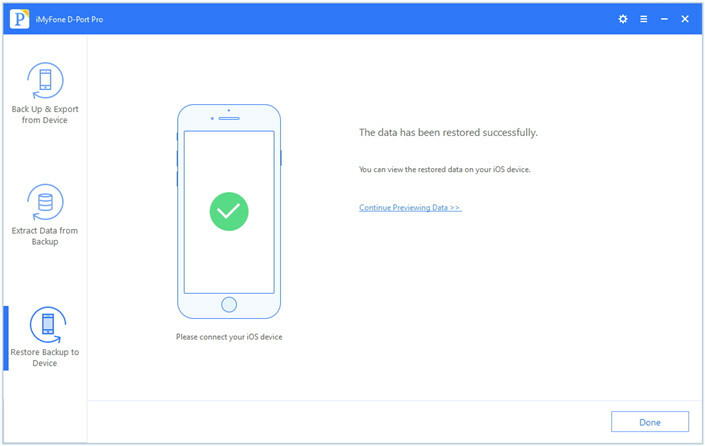 (5) Your iPhone will now be restored by iTunes. Don’t unplug it while this is happening. You will know that it is done because the device will restart, then it will sync. After the syncing, you can safely unplug it. Now, iTunes or iCloud can be good tools and they get the job done. The problem is, though, that you don’t have a lot of options when you use them. For example, you can only back up and restore the whole device and can’t choose data selectively. With special software called iMyFone D-Port Pro, though, users can do more than just back up and restore the whole device. It gives you a lot more control than iTunes and iCloud. 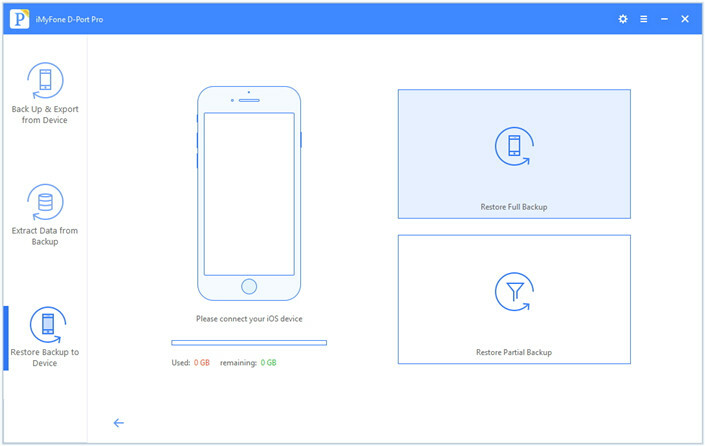 You can make partial or whole backups for your iPhone. 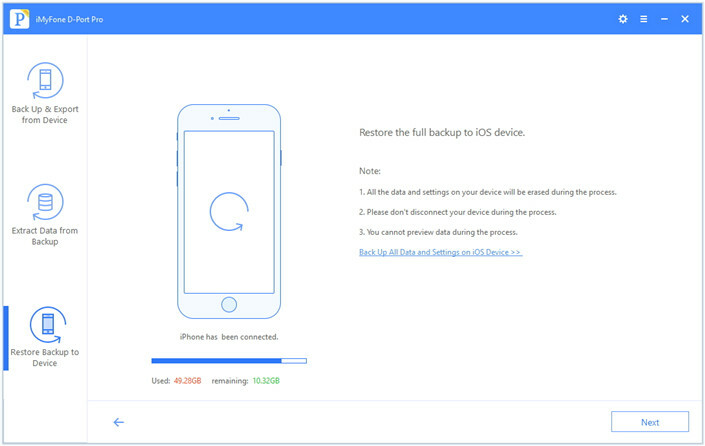 You can restore backups partially or completely to iPhone. You can extract data from backups and save them on your computer. You can store the backups wherever/whenever you want without WiFi. You can preview data in the backups before you restore. (1) Install iMyFone D-Port Pro on your computer. Plug your iPhone into your computer. (2) Click where it says Back Up & Export from Device on the sidebar. (3) Click Make a Full Backup. (4) D-Port Pro will tell you what you should pay attention to before backing up your iPhone. If you are sure to do this, click Back Up. (5) Wait as the program automatically makes a full backup for your device. Do not disconnect your iPhone until the process is finished. (1) Launch D-Port Pro and plug your iPhone into your computer. 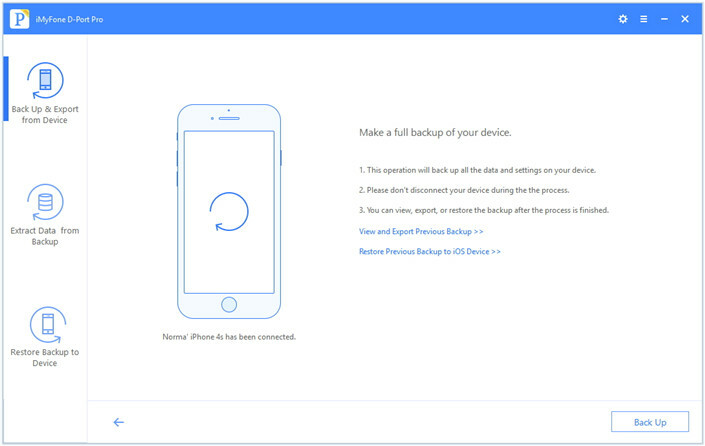 (2) Over on the side, click where it says Restore Backup to Device. (3) Now you can select the backup that you want to restore from. 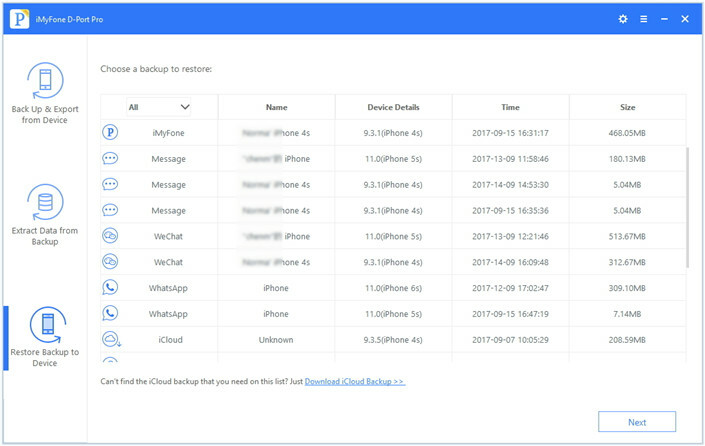 There are your old iTunes backups, iCloud backups, or backups made by iMyFone D-Port Pro you can choose. (4) On the next screen, click where it says Restore Full Backup. 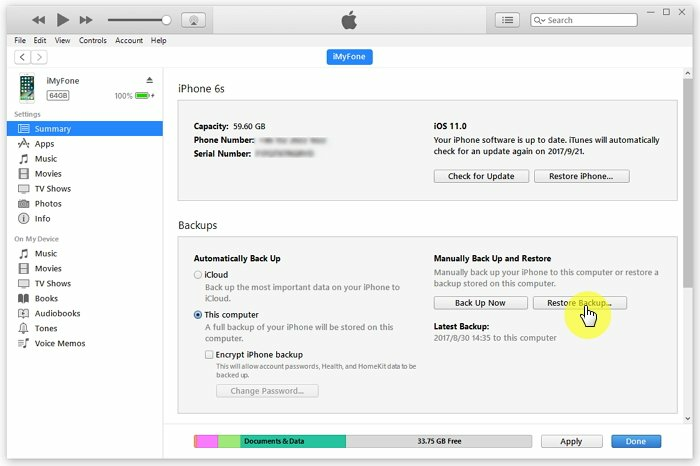 (5) Click Next and the application will start to restore the full backup. (6) Now iMyFone D-Port Pro will take care of the rest. Do not unplug your device until it is done restoring. 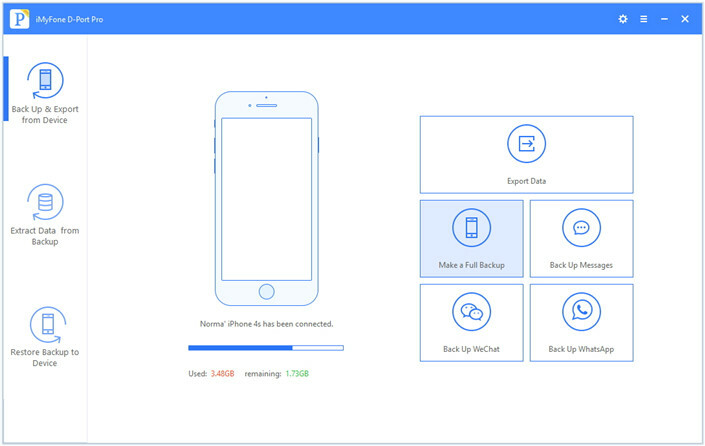 To do iPhone backup and restore can be very easy. While you can use the official iTunes and iCloud methods to make backups and restore them, you have a lot more options and freedoms if you use iMyFone D-Port Pro. It lets you selectively choose what data you would like to backup and restore, so it can save you time and room on your hard drive.